ISUZU double rows refrigerated trucks adopts ISUZU 98hp Euro 4 diesel engine, 7.00-15 tyre, 3360mm wheelbase, ISUZU MSB 5 speed transmission, etc. 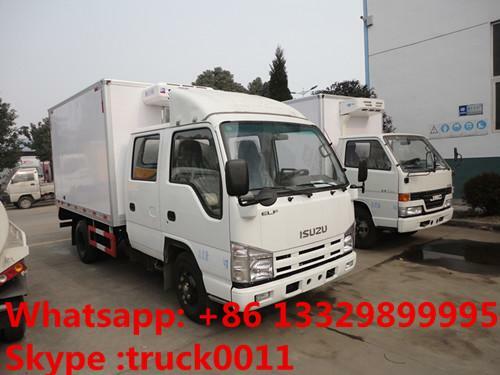 And the insulation body van volume of 9.5cbm, overall dimension of the ISUZU refrigerated truck is 5995X1930X2870(mm), and the insulation body dimension is 3150X1750X1750(mm). 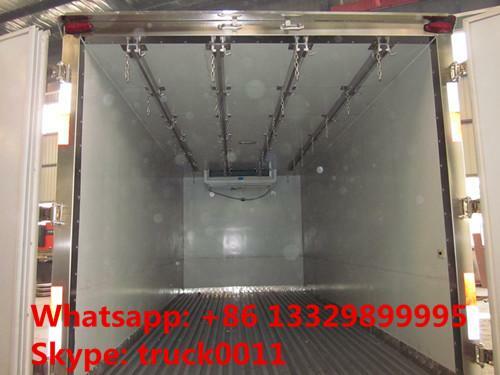 Refrigerated truck is mainly used to transport fresh meat, vegetables and seafood etc. Special ones can also transport dangerous chemicals. Our truck has lots of advantages, flexible, easy to operate, efficient, large Carryings, safe and reliable. 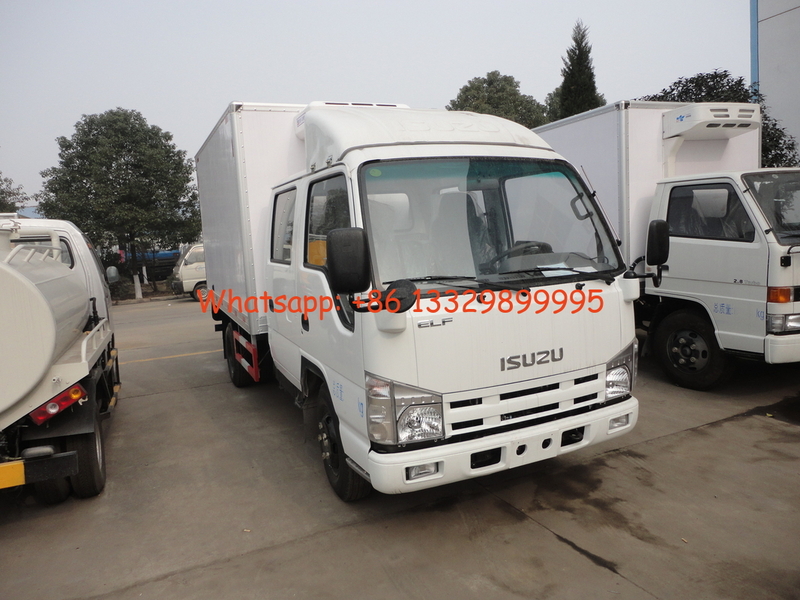 More pictures of hot sale ISUZU double cabs refrigerated truck as below. Chengli Special Automobile Co., Ltd.is the leading manufacturer and supplier of refrigerated trucks in China since 2004s. With many years'experience in manufacturing, Chengli Special Automobile Co., Ltd. could supply ISUZU refrigerated truck, Dongfeng refrigerated truck, JMC refrigerated truck, Yuejin refrigerated truck, Forland refrigerated truck, JAC refrigerated truck, FAW reefer van truck, refrigerated semitrailer, etc. More information, please feel free to contact with Ms. Anita Deng.